Def Leppard guitarist Phil Collen has been interviewed ahead of the Delta Deep tour dates by The OC Register. Phil talked about the upcoming Sugar Shack tour which starts tomorrow in Agoura Hills, CA, how the band formed, their sound, each band member, his early influences and his recent illness (a cold, as you can hear in the Classic Rock Making Of videos...). The interview took place while Phil was on tour in the UK last month. 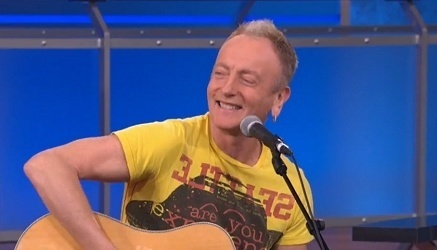 As mentioned on Sunday, Phil and Debbi performed an acoustic version of album track 'Treat Her Like Candy' on Californian TV. View the performance and short interview via the link. "When we actually all got together, instead of it sounding just bluesy or kind of rootsy like it had originally started, it actually ended up sounding more like Tina Turner singing on ‘Led Zeppelin II,’” he said. “It turned out to be much more bombastic when we actually all started playing, which was fantastic. It’s always good to have a muse and other inspiration and just let that take you somewhere else."